TOP CRAFTS NOW INTERVIEW Learning from Akiko Hino: How to Select Things. An Interview for DIALOGUE. Learning from Akiko Hino: How to Select Things. An Interview for DIALOGUE. “KOUGEI NOW” is a project that aims to discuss the future of craft making, with a focus on handicrafts. 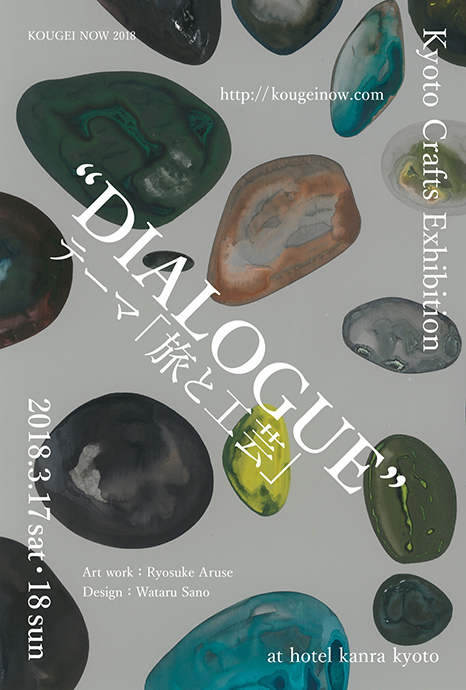 Its theme is “driving craftwork into the future.” As part of this project, Kyoto Crafts Exhibition DIALOGUE—an exhibition sale—will be held on March 17 and 18, 2018. This time, we interviewed Ms. Akiko Hino, who was a guest speaker at a public talk held during DIALOGUE. Ms. Hino is the representative of the one-person wholesaler, Studio Boke. She also organizes exhibitions on living ware and provides advice on event planning. We asked her in detail about the things she tries to pay attention to when selecting goods and the things she expects of the craftspeople. Akiko was inspired by Professor Yoshio Akioka while studying at the Department of Art and Design, Faculty of Home Economics, Kyoritsu Women’s University. After working at Matsuya Shoji Inc., she left in 1999 to launch Studio Boke. Studio Boke is primarily a wholesale business, which connects department stores and shops to craftspeople and product origin areas. 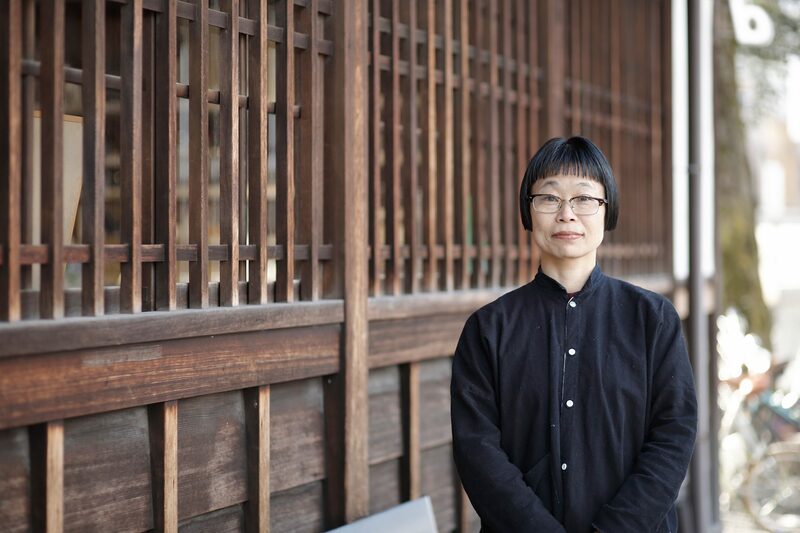 Akiko also organizes living ware exhibitions and gives advice for event planning. She is the author of several books, including Utsuwa no Techo 1 & 2. – From holding exhibitions to appearing in magazines, you are actively engaged in a wide range of activities. What is your chief role? Firstly, I am a wholesaler, who connects craftspeople to retail stores. Secondly, I organize exhibitions. In addition, I work with local governments and associations of traditional industries as an advisor for local industries. I also present craftspeople and products in magazines and newspapers. – We don’t often come across independent, solo wholesalers, but how did it all start? Right after finishing university, I joined a trading firm. 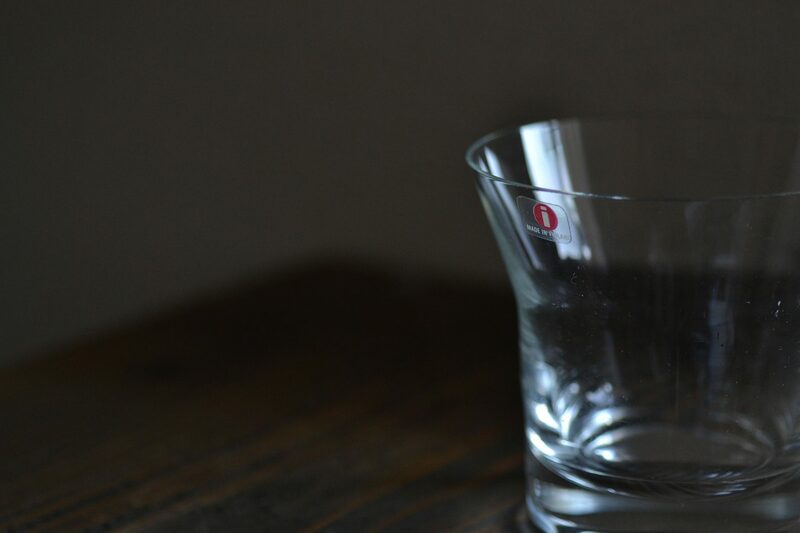 This firm handled Iittala products, which had just entered the Japanese market then, and domestic crafts. I worked there for seven years as a sales staff. Especially for domestic crafts, we handled products that are produced continuously over many years—even if it takes a lot of time in the making—so that consumers can continue to add products to their collections over a long period of time. This became the base of my style. That is, even after I left to start my own business, I have never handled products aiming for unusualness and eccentricity but rather focused on products you can continue to use and expand your collection over 10 years, 20 years. I think that an encounter with a customer is an ichi-go ichi-e*1 experience for retail people. Meanwhile, you deal with the same clients in the wholesale world, so the key is to get them interested in you and constantly distribute goods to them. This was an exciting thing for me. I wasn’t equipped with the knowhows, but I felt I shouldn’t show an entire product catalogue from the manufacturer to my clients. For instance, I selected products from the same designer once, and near Father’s Day I focused on shot glasses. When I look back at it now, I was basically “editing” the catalogues to recommend products that I liked, but this way, I could even sell products that weren’t new. I came to understand that you can sell better by organizing information to propose something to your clients, instead of handing over a large catalogue and leaving them to choose what they like. I got a taste of success through this experience and that led me to my current job. *1 Sometimes translated as “never again,” “ichi-go ichi-e” is a Japanese idiom from tea ceremonies, meaning each encounter is unique and will never be repeated. – What do you do as an advisor for local industries? 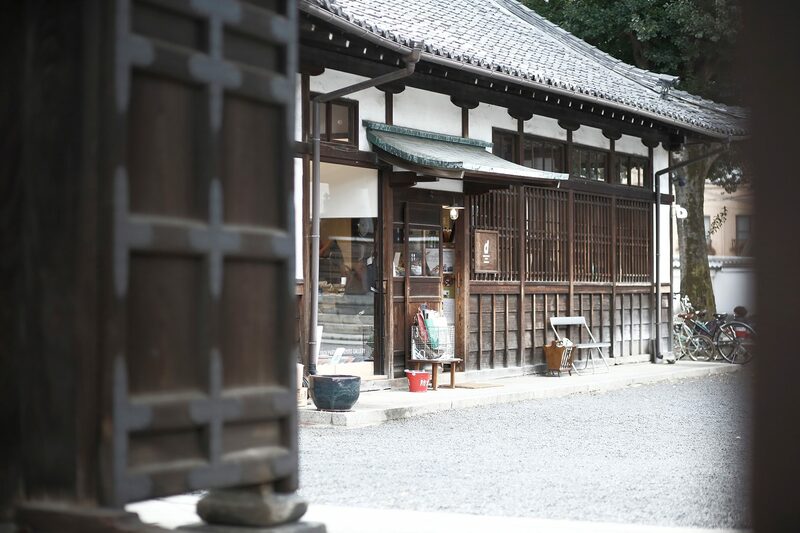 For example, I serve as a Judging Committee member of the Traditional Industries Section of the City of Kyoto. I get invited to lecture at municipal industrial technology institutes as well, in places like Asahikawa, Hokkaido; Takaoka, Toyama; and Yamagata. When I ask them why they decided to invite me, they always reply it’s because I am a wholesaler. They say not many people know about the craftspeople, understand the retailers’ position and are involved in trade themselves at the same time. They ask me if I could talk from the perspective of someone in that kind of position. Recently, I also get invited from art colleges and, again, it’s because I am involved in trade at the frontline. Other lecturers or professors can teach their students about technology or history, but they can’t vividly tell them about the real things they will go through after graduation. – What made you become interested in craftspeople? I seem to have loved watching how people make things from a very young age: I was told that as a child, if my mother left me in front of an unagi-ya*2, I would be glued to the spot, watching the unagi chef grilling eel for so long that it gave her enough time to finish her shopping. My parents were married in the 1960s, and I loved the household electrical goods they bought back then. When they had to be thrown out after being replaced by new ones, I was really sad and took pictures of them. I was inspired by Professor Yoshio Akioka’s lectures at college. He introduced Japanese handwork to the wider community after working as a well-known industrial designer. Today, you can find many magazine articles in which people present great crafts. But back then, it was rare to find good products being presented by people who genuinely understood the quality of the products. Through his classes, I felt that good designs need to be passed on to future generations and I became interested in their makers. *2 An authentic Japanese-style eel restaurant. “Unagi” means eel in Japanese. – So that is where your concept of “long-life design” comes from. How is D&DEPARTMENT involved in all of this? I work with local industries, but I make most of my work connections when I’m out drinking (laughs). One of the people I met at one of these gatherings was working at Mie Prefecture Industrial Research Institute Ceramic Science Branch in Yokkaichi, Mie. This person introduced me to Mr. Kenmei Nagaoka, who was the Representative of D&DEPARTMENT PROJECT then. (He is the Chairman now.) 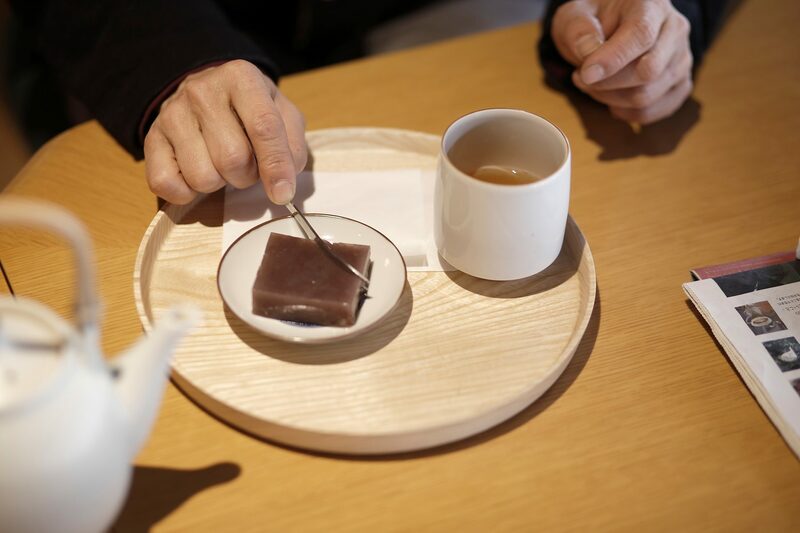 It all started when we decided to go around to visit craftspeople of the 47 prefectures of Japan together, before Kenmei started NIPPON VISION, an exhibition of local industries. I support NIPPON VISION, or more specifically, I distribute products for the exhibition as a wholesaler. Not only do I personally like the concept of D&DEPARTMENT,　but being able to have your work distributed to D&DEPARTMENT is also encouraging for the craftspeople. I like matching stores and products, it feels like matchmaking. When you pitch the ball well, there will be no problem receiving it. You get a strike, and you get that I-knew-this-would-work feeling. I make all kinds of suggestions looking forward to that feeling. The Kotobuki Teacup, available at D&DEPARTMENT KYOTO was originally made for Kiyomizu-yaki pottery-painting experience classes. I liked the simple look they have before the painting process, though, and then I worked on merchandizing them. At the café built in the D&DEPARTMENT KYOTO property. The Kotobuki Teacups, “connected” to the café by Akiko, are used. – What kind of city is Kyoto for you? Actually, I love craftspeople but I also love stores. One of the reasons why I like going to Kyoto is because I like the appearance and the atmosphere of stores there. I especially love Kyodai Kitamon-mae Café Shinshindo in the Hyakumanben area: the atmosphere, the desk that belonged to Tatsuaki Kuroda—a lacquerware master who was recognized by the Japanese government as a holder of Important Intangible Cultural Properties—and the old men reading spread-opened newspaper, who are part of the café’s scenery. – What do you value when you buy or select something in your daily life? I think I shop more often than ordinary people because of my job. I already have so many things, so recently I try as much as possible to refrain from buying. But when there’s something I still want regardless of that, I become easy on myself and decide it’s something worth it—and end up buying it. 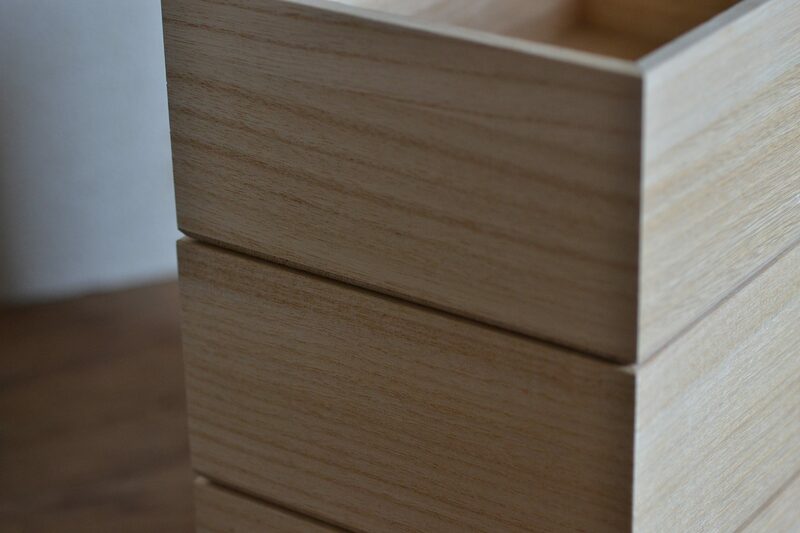 I recently bought a new set of stackable paulownia wood crates by Yama no Katachi, a designer duo in Yamagata. As someone who has always liked simple designs, I would have preferred something with clear-cut simplistic forms like straight lines and precise circles, but the edges of these crates are slightly rounded. The set is an ordinary combination of crates of three sizes, but the edges create slight gaps, which result in beautiful shadows. The crate’s beauty stands out when used as a set, and I think that is the fruit of . I have already seen so many paulownia wood boxes before, but it’s exciting when you make a new discovery. – Do you think you can say that is one example of “future-minded artisanal manufacturing,” the theme of KOUGEI NOW? Yes, I think so. When something is passed on to the future, it means that something is being loved for many years, so I want to ask craftspeople not to make products that can only be used once. When it comes to trade fairs, craftspeople tend to try to work on unusual, eccentric products that stand out in the crowd. But I want them to make things that make customers feel that they wanted it even if they didn’t buy it. I want them to make things customers would want to give to other people or things they would want to buy again to expand their collections, even after five or ten years. I would also like to tell the craftspeople participating in exhibitions or trade fairs how important it is to accurately see “what you are selling, and to to whom.” As creators, I think that craftspeople want to present every single one of their works, but I believe there is nothing good when you show everything in one go. As I said about how sales improved when showing products after some having done some “editing,” it is important to select what matches the occasion. For me, to travel means getting to see the makers. It’s fun buying things on the spot at the production site, but I think we don’t need those one-time-only things that are souvenir-like anymore. I guess the souvenir market still survives because many people continue to buy things as mementos. Yet times are changing, and I would like people to make things that can be used over a long period of time, rather than one-time-only souvenirs. There used to be a time when too many figurines were sold everywhere, but I want things that the purchasers themselves can continue to use to become souvenirs from now on. I want things that can be loved for many years to be produced. 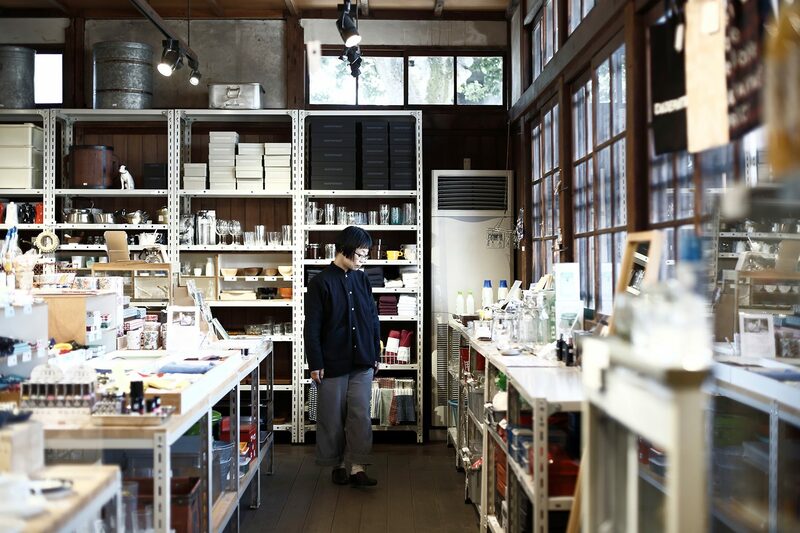 Inside the store of D&DEPARTMENT KYOTO. – Do you have any other messages you would like to give to the craftspeople of today? I think it’s difficult for craftspeople to expand their horizons on their own. It’s important to build relationships with good stores—that is, stores with high aspirations. When you have relationships with such stores, they will give you good advice like, “Things like this sell well at our store, so please make this” or “No more cell phone charms, we’ve had enough of them.” I also hope that we get more stores with an attitude along the lines of, “If you do your best making them, we will do our best in serving our customers so that they sell well,” thus creating an environment that encourages each other’s growth through hard work. – What do you expect of DIALOGUE? 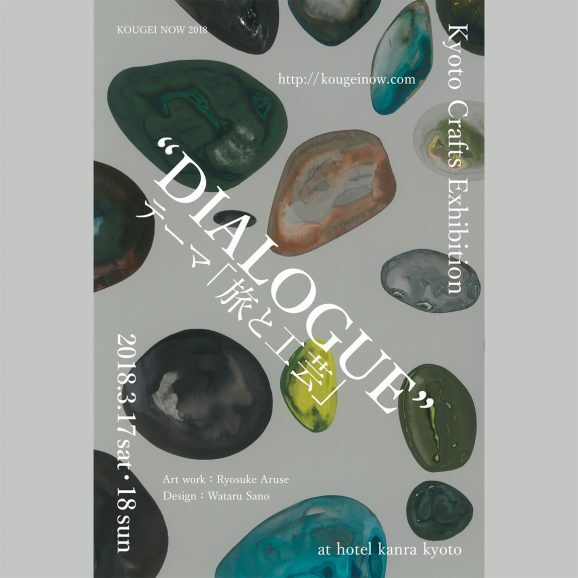 I can’t imagine how it would be like to hold an exhibition at a hotel, so I’m very excited. At a trade fair venue, you have no other option but to place all products equally in an inorganic environment, but in a room, there is constant movement. I want to see the most of the simple, nice space at Hotel Kanra Kyoto utilized, and I’m looking forward to some surprises. 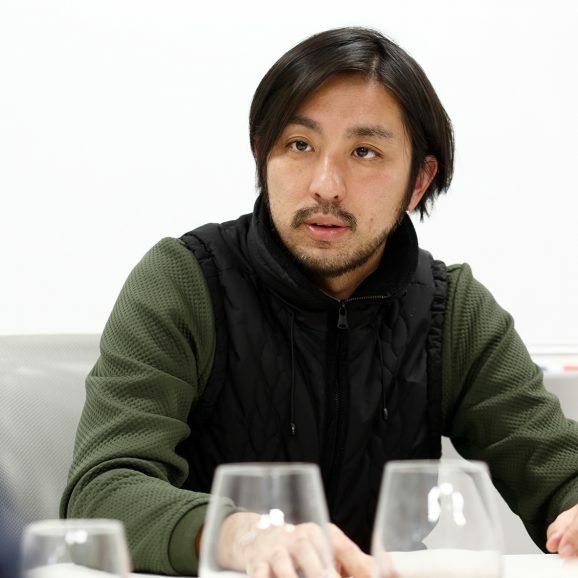 Okisato Nagata discusses Future-Oriented Craft Making in a “DIALOGUE”-related interview. Copyright© All Rights Reserved by Kyoto Research Park Corp. and their respective owners.